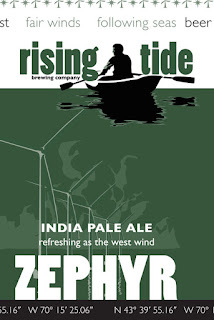 Rising Tide Brewing Company is an independent, family-owned brewery that anchors Portland, Maine’s vibrant East Bayside neighborhood. We are guided by creative flavors, quality, consistency, community, and a love of all things outdoors. 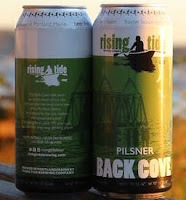 Rising Tide supports our farmers, using local ingredients in every beer. Our beers are available in cans and on draft in our tasting room in Portland’s East Bayside neighborhood and at select locations in Maine, Massachusetts, New Hampshire, and Rhode Island [and now The Wine and Cheese Place in Missouri] . Our beers are unfiltered and unpasteurized. Each can is alive! Never Filtered, never pasteurized, live beer on board! Zephyr (n)—a westerly breeze or wind, considered by many to be the fairest of wind direction. 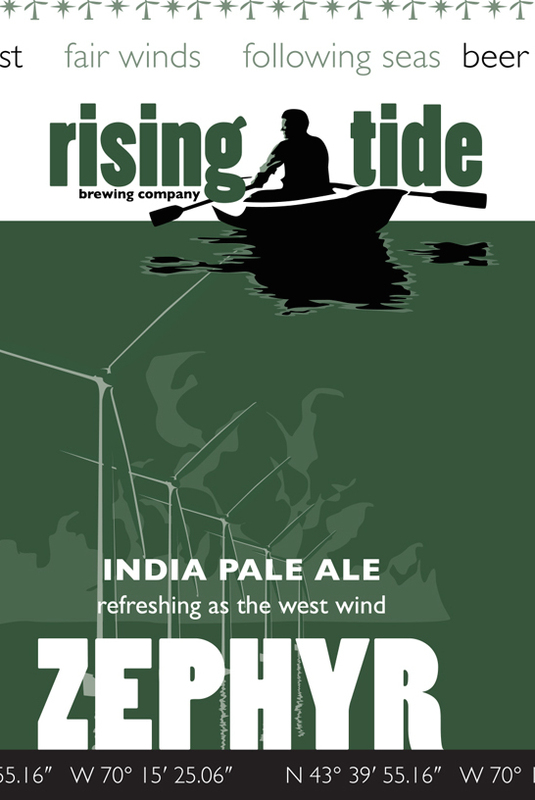 Refreshing like a westerly breeze, Zephyr is a pleasantly balanced IPA with waves of citrus. A modern classic. 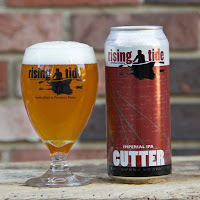 In a sea of IPAs, Cutter stands tall. This imperial IPA sails with citrus and tropical fruit aromas and a balanced hoppy finish. Big, bold, and beautiful. Back Cove (n)—a tidal basin on the northern side of the City of Portland, Maine. A popular loop trail runs around the cove. The Back Cove tidal basin lies at the heart of our city and provides the most iconic view of the Portland skyline. As a tribute to the civic leaders who preserved a park encircling Back Cove 100 years ago, we offer this crisp, easy drinking pilsner. Back Cove is a North German-style pilsner fermented with kellerbier yeast. Harmoniously balanced, with hints of orchard fruit, clean malt and earthy bitterness. Waypoint (n)—a stopping place on a journey. Once the heat of summer breaks, it’s time to find your way to our coffee porter, Waypoint. This beer is brewed with the highest quality coffee blended and roasted by our neighbors at Tandem Coffee Roasters to give our mild porter a rich fruity complexity held up by a chocolatey, malty backbone. This East Bayside collaboration is available from foliage season into the depths of our Maine winter.